Ilkka Paananen studied the piano with Jarmo Räty at the Kuopio Conservatory, with Eero Heinonen at the Sibelius Academy, with Phyllis Sellick in London and in masterclasses with Dmitri Bashkirov, Ralf Gothóni, Dalton Baldwin and others. 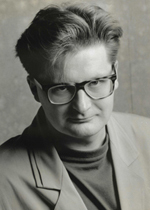 He was the winner of the Maj Lind Piano Competition in 1982 and the Danish Sonning Foundation in 1985. Paananen has performed as a soloist and chamber musician in several European countries, as well as in the Far East and the United States. A renowned accompanist of singers, Ilkka Paananen has appeared together with the great Finnish baritone Jorma Hynninen at Alice Tully Hall and Danny Kaye Hall in New York, the Wigmore Hall in London, the Hermann Prey Lied Festival at Bad Urach and the Vlaamse Opera in Antwerp. Paananen is also known for his partnership with Dilbèr, Elina Garanca, Kaludi Kaludow, Jaakko Kortekangas, Jaakko Ryhänen, Matti Salminen and Gabriel Suovanen. He has taken part in many crossover stage, cinema and TV productions and has released a number of discs in the past few years.